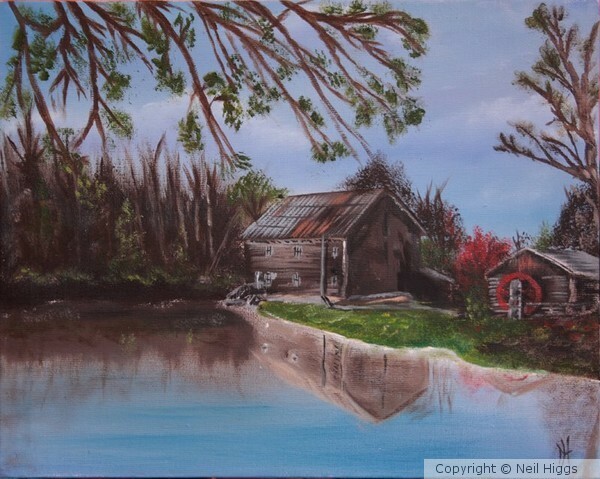 12" x 9" stretched canvas in oils, this is a painting from a photo taken by a friend of mine (Regina Williams) of the mill...great photo and even better fun painting it. Very beautiful landscape. Lovely painting. Very mellow scene. Well done.